Christmas deals continue with Sevenoaks Winter Sale | What Hi-Fi? The Sevenoaks Winter Sale has begun, promising to be the "biggest and best ever", with savings in stores and online. There are hi-fi and home cinema products, streaming products, wireless speakers, and deals on brands including Marantz, Meridian, Sonos and Sony. 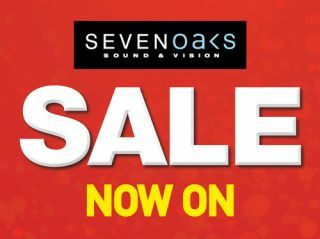 For more offers and to find your local store, head to the Sevenoaks website.